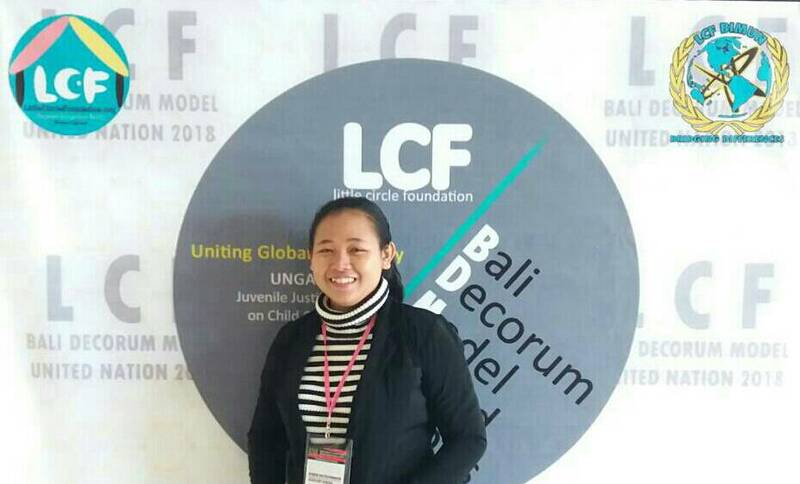 It is the warmest Balinese style greeting in which I would welcome you at the Little Circle Foundation Bali International Model United Nations 2018, “Om Swastyastu”! This is an honor for me to personally welcoming all distinguished Delegates, Board of Directors, Speakers, Advisors, and Committees to the LCF’s family. Thank you very much for your interest to this year’s conference. 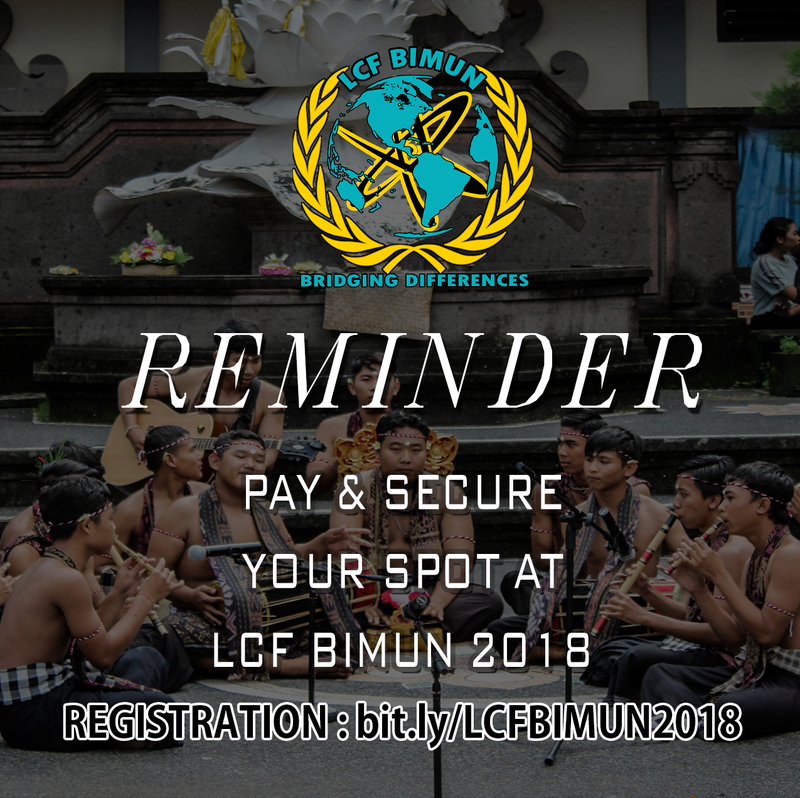 This year’s conference would be our second year in hosting an international MUN conference and has specially designed to facilitate as well as challenge every participant either the Committees or Delegates in having mutual understanding on international relation. Bringing up the theme of “Uniting Global Symphony” our dedicated committees are ready to provide the most memorable journey on diplomacy, having a life-long global network, enjoying 3 days of meaningful discussion and social party which offers an exclusive experience. Various topics on international issues which will be chaired by our professional Board of Directors are looking forward for your innovative solutions. We do hope it will have a fruitful debate with diverse critical point of view and ideas which visualize the spirit of MUN. Register yourself and secure your spot at LCF Bali International MUN 2018. We are so delighted to assist you with any concerns, hence do not hesitate to reach us directly. Wishing you the best luck for your preparation and see you in Bali soon! The creation of cyberspace is the result of accelerated technological developments that occurred over the past several decades, and its contribution to the development of humanity is unquestioned. This space allows for a free flow of knowledge, capital and services with extremely low entry barriers, thereby improving social welfare and encouraging innovation. At the same time, cyberspace encompasses a multitude of threats unique in their scope, as a potential medium for hostile activities, both familiar and new, which may lead to damage therein (such as to information or functioning), as well as to damage outside it (such as physical or perceptual damage). Inter alia, these threats include: defacement of websites and denials of service, blackmail and harassment of individuals and organizations, privacy violation through stealing personal information, commercial espionage, obstruction or failure of processes and services essential for civilians and the economy, stealing state secrets, compromising infrastructure and systems essential for the economy and security bodies, harming human lives, etc. Feminism by definition is the belief that men and women should have equal rights and opportunities. It is the theory of political, economic and social equality of the sexes. The issue of feminism has been going on for centuries but rather result in slow, tireless, often frustrating and unheralded work. This should worry us as a dire warning about our future. One of the most insidious, and an ultimately one of the most dangerous, manifestations of neo-Nazi resurgence may well be its steady subversive infiltration of contemporary popular and consumer culture. Rabidly bigoted modern day neo-Nazi parties and movements such are relatively easy to identify and fight through political, judicial and legislative means. This is worrying as Neo-Nazism is the fuel to racism, racial discrimination, xenophobia and related intolerance. ASEAN Regional Forum (ARF), the first region wide Asia-Pacific multilateral forum for official consultations on peace and security issues. An outgrowth of the annual ministerial-level meeting of members of the Association of Southeast Asian Nations (ASEAN) and the states serving as ASEAN’s “dialogue partners,” the ARF provides a setting for discussion and diplomacy and the development of cooperative responses to regional problems. People’s Republic of China, as one of ASEAN’s dialogue partner, seems to play such a huge role in recent days, almost seems like gaining leadership within the ASEAN countries. This raises questions amongst members if China has really started to take control of ASEAN.